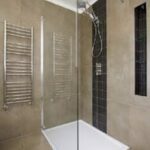 Expert advice on easy shower repairs, including fixing showers that run hot and cold, replacing a shower head, fixing a clogged shower drain, and more. Because of daily use and the nature of the work they do, showers are prone to a variety of problems. Here we take a look at some do-it-yourself measures you can take to deal with these. For information on handling problems with shower doors, see Shower Mildew & Shower Door Spots. 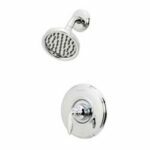 For information about how to deal with a leaky or defective shower valve, please see How to Fix a Shower Valve. 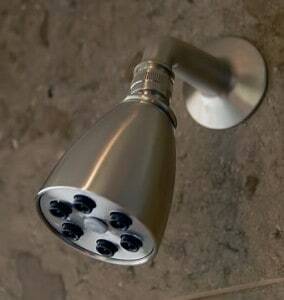 Shower heads eventually wear out or become clogged with lime deposits. When this happens, shower heads generally do a very poor job of spraying and look like something alien that has grown out of the wall. Your best bet when your shower head reaches this stage—unless your old one is particularly valuable to you—is to replace it with a new one. You’ll need locking-jaw pliers and a pipe wrench and/or an adjustable wrench for unscrewing the old head. 1Put duct tape on the tools’ jaws to protect the finish on the shower arm and new shower head. 2Prevent the shower arm from turning with pliers or pipe wrench while you unscrew the old shower head (counterclockwise) with the other wrench or pliers. 3Wrap the shower arm’s pipe threads with a couple layers of Teflon tape (clockwise). 4Simply screw-in the new head or shower hose attachment piece at the fitting, turning it clockwise. For more extensive directions, see How to Replace a Shower Head. Though grout can be repaired and you can re-caulk joints, if a shower pan is leaking, you’ll need to have it repaired by a tile installer or roofing contractor. Contact your homeowner’s insurance company; repairing the damage may be covered. 1Remove the shower drain screen. This should just be a matter of lifting it out. If it’s stuck, you may need to hook it with a short piece of wire to lift it out. 2Plug the shower drain with a shower drain plug, purchased online or at a hardware store or home improvement center. 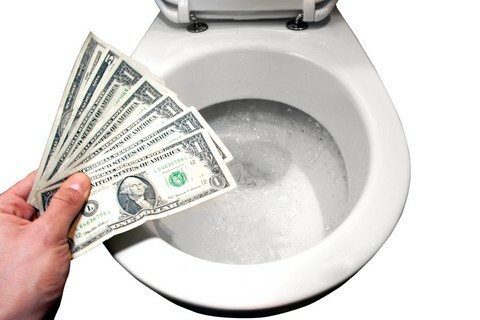 Be sure it completely seals the drain. 3Fill the shower floor with water to about 1 inch from the top of the step and mark the water line. Wait a few minutes. If the water level goes down and wetness shows up beneath the shower, the pan is leaking. 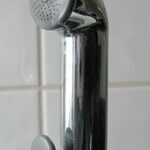 If your shower sprays freezing cold water when the dishwasher or washing machine kicks on, or scalds you when someone flushes a toilet, you have two basic choices: first, to organize shower schedules with appliance schedules or, second, to have a pressure-balancing valve installed on the hot and cold water lines that supply the shower faucet. Unless you’re quite familiar with doing your own plumbing work, this is not an easy shower repair—it’s a job for a plumber.